Yesterday, I was in Heaven!! I was starting another project. Don't you love it when you are starting something anew? 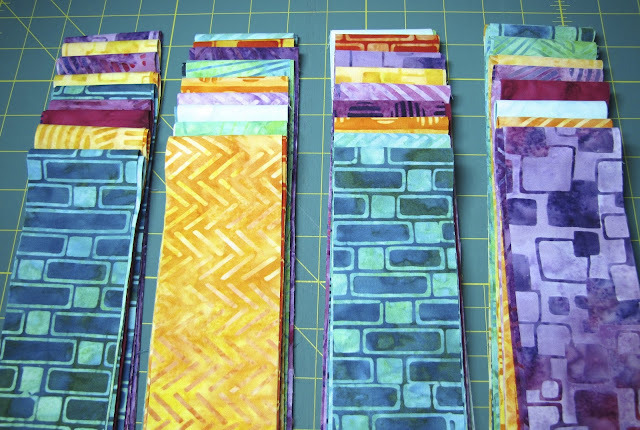 There is the excitement of the fabric, cutting it up and then watching it transform into a new quilt. I LOVE everything about the process! I began by sorting out my batiks and pairing them lights with darks. I've got them all paired and they are ready to go! A little paper piecing is in order, as you know it is my favorite way to piece. I am making the Willow Bed Runner by Judy Niemeyer, using fabrics that are not yet out from Robert Kaufman. 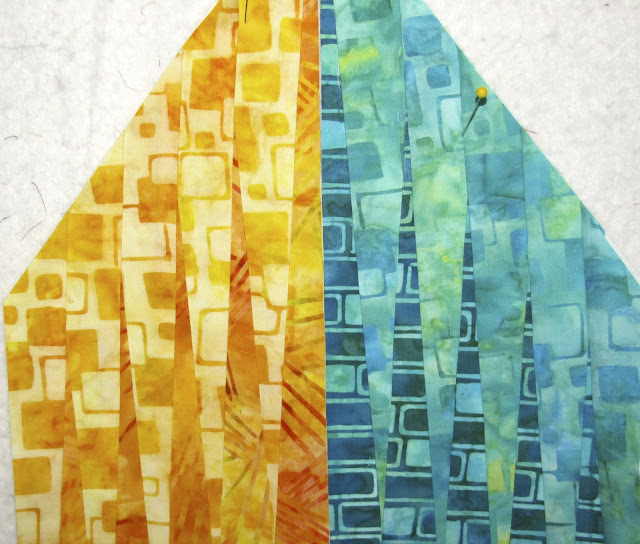 This will be a sample for a quilt shop that I will be teaching at in October, 2013 in Mesa, AZ... Quilter's Oasis. The fabric and kit will be available in July in my online shop. But you can get the pattern now, by clicking here. 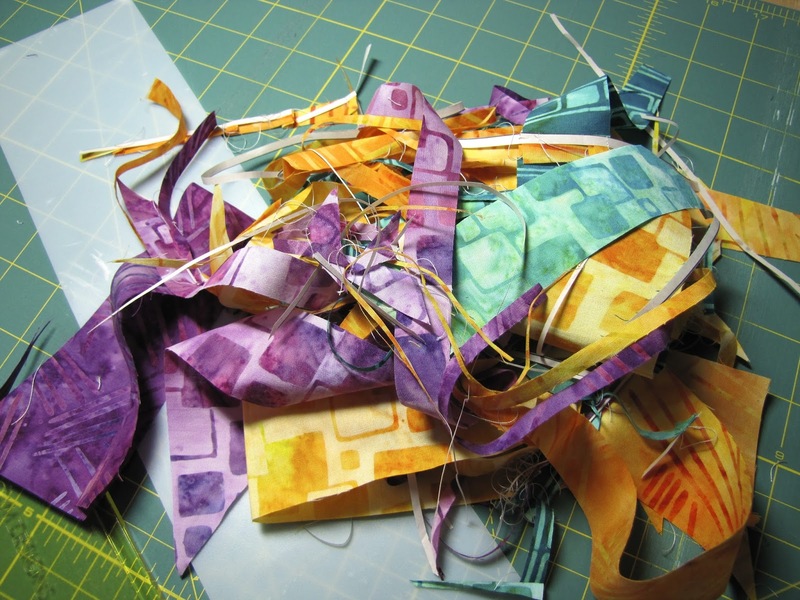 After some cutting and squaring up, I ended with some little scraps all in a heap. Aren't they pretty? I was able to construct 4 units and I am liking the results so far. But you will see more definition later on in the process. Here is a little close up... perfect spikes! That is what I absolutely love about paper piecing. Stay tuned for more... I am actually going to sew some more tomorrow too! Yahoo!